I went from struggling to cross the living room to being able to do everything I want without any pain! It’s easy to take knees and hips for granted, but stiffness and pain can sideline you from your favorite activities or everyday tasks. The good news is: Whether you’re looking to climb a fourteener or play with your grandkids, we can help! Our team of Denver joint replacement specialists work diligently to help patients regain or maintain their independence and improve their quality of life. We treat a range of patients, including those experiencing disability and pain from arthritis. We treat other orthopedic problems, including deformities, infections, traumatic injuries, and failed joint replacements. We consider every patient’s individual needs, from diagnosis to treatment and rehabilitation, to help them move toward an active, pain-free lifestyle. Patient support begins with patient education, including a discussion about which treatments are available. Armed with both compassion and years of experience, our physicians are dedicated to listening, answering questions and including patients in the decision-making process. Especially when it comes to arthritis, you don’t have to wait until the pain becomes constant or you have difficulty getting around. In fact, early intervention increases the chance of getting well without surgery. 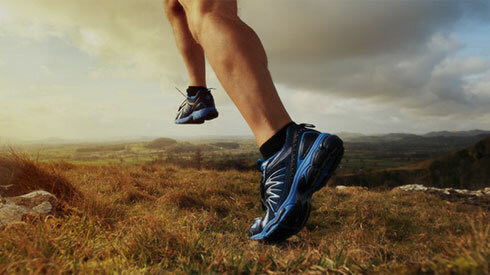 Our goal is to use conservative treatment options to keep patients active. Treatment for hip and knee pain depends upon your condition and the severity of your symptoms. However, in many cases, pain can be treated using over-the-counter or prescription medication, injections, specialized exercise programs or physical therapy. 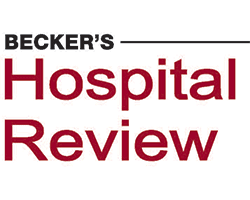 In a recent edition of Becker’s Hospital Review – the leading publication for healthcare industry leaders, they released the CareChex list of best hospitals for joint replacement surgery. OrthoColorado, Panorama’s physician-owned Hospital, was listed as the number one hospital for joint replacement in the state of Colorado! CareChex, a divison of Quantros, is known to be the most comprehensive site for rating medical care. CareChex provides clinical, financial, and patient satisfaction findings to consumers, providers, and purchasers of U.S. medical care. Unlike other publicly available quality ratings, CareChex provides a comprehensive evaluation of inpatient hospital quality performance using a variety of outcomes of care measures. The organization also uses CMS Hospital Consumer Assessment of Healthcare Providers and Systems data, which provides patient satisfaction measures on physician and nurse communication, medication examination, pain control, care transition and several other areas. At Panorama Orthopedic and Spine Center, our joint replacement surgeons believe that to offer the highest quality care you need to concentrate your experience in your area of expertise. The average orthopedic surgeon may perform 30- 40 joint replacement surgeries a year. At Panorama, each of our joint replacements surgeons perform hundreds of joint replacements a year. Repetition breeds excellence and our surgeons are experts in this area. If surgery is necessary, you can rely on our experienced team of doctors, who specialize in joint replacement and revision joint replacement. In addition, we have doctor’s specializing in the newest approaches to hip and knee replacement. These options are designed to help patients heal faster with less pain. Using the anterior approach to hip replacement allows the surgeon to work between muscles, instead of through them. Dr. Peace, Dr Kinder, Dr. Thomas and Dr. Hugate are specialists in the anterior approach to hip replacement. Patients typically experience a quicker and less painful recovery. Specialized training and instrumentation enable Dr. Foran to perform traditional knee replacement surgery in a minimally invasive manner. By using smaller incisions he is able to complete the surgery without cutting tendons or ligaments, and with less disruption to the soft tissues. This, too, allows patients to typically recover quicker. Both Dr. Thomas and Dr. Lehman are two orthopedic surgeons certified in the use of Mako Robotic technology. The Mako System is a robotic-arm assisted technology that allows surgeons to precisely pre-plan joint replacement surgeries according to each patient’s unique anatomy. With the Mako System, CT (computed tomography) scans are taken of the joint and combined with the Mako technology which helps the surgeon place and measure the joint before ever beginning surgery. When in surgery the Mako System helps guide the surgeon but always allows for the surgeon to use his or her expert judgement to change the plan during surgery. At Panorama Orthopedics & Spine Center, our goal is to offer our patients the best—and that means staying on top of the newest advances and offering patients options. In 1940 the first joint replacement was performed and now, over 70 years later, there is a new tool in joint replacement, the Mako robotic arm—now offered by Panorama’s experts in joint replacement surgery. Mako is a surgical assistance system that combines a robotic arm and Mako software that allows pre-surgical planning by a Mako certified joint replacement specialist and guidance during surgery. The goal of the Mako System is to provide additional flexibility and better fit by providing more precision during placement—this should lead to less wear and tear over the life of the artificial joint. As patients get joints replaced at younger and younger ages, having a tool that is meant to prolong the life of an artificial joint becomes more and more important. In traditional joint replacement surgeries, surgeons use imaging from MRIs and X-rays to get a picture of the joint, they make a plan and begin surgery; with Mako, a 3D model of the joint is created using CT imaging. Using this model, a surgeon is able to place the implant, rotate the joint, and extend and bend the joint to each patient’s unique anatomy before ever beginning surgery. With a precise plan in place the surgeon will do the actual surgery using the Mako robotic arm. The Mako Robotic Arm gives feedback during surgery to help keep the surgeon to his pre-surgical plan just as a GPS would give guidance during a road trip. The surgeon is always able to make “detours” during surgery using their expert judgement. The Mako robotic arm is a tool that the surgeon controls and moves with their hands throughout the duration of the surgery. Each surgeon who uses Mako goes through a training program to become certified and specifically trained in using the Mako robotic arm. Both Dr. Tim Lehman and Dr. Bob Thomas have become certified Mako joint specialists and are happy to work with each patient to determine the best course of action for their surgery. Panorama offers the Mako procedure at Littleton Adventist Hospital in Littleton. If you have more questions about Mako or think you would like to consult with a doctor please call to make an appointment with Dr Thomas or Dr Lehman. OrthoColorado Hospital is a partnership between Panorama Orthopedics and Spine Center and Centura Health. OrthoColorado Hospital is Denver’s leader in knee replacement, shoulder replacement, ankle replacement and hip replacement. Panorama surgeons perform more joint replacement surgeries than any other Colorado joint replacement team. These joint replacement surgeries are performed at the only orthopedic specialty hospital in the state, OrthoColorado Hospital, where comfort and peace of mind are always a top priority. OrthoColorado’s focus on orthopedics makes it a leader when it comes to both patient satisfaction and clinical outcomes. For example, at OrthoColorado Hospital, the average length of stay for a total hip replacement or total knee replacement is 2.0 days, which is half the national average. In fact, OrthoColorado Hospital boasts the highest patient satisfaction scores in the State of Colorado and has been recognized by the Centers for Medicare and Medicaid Services with a five star rating. 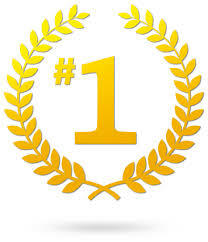 OrthoColorado Hospital ranks among the top 7% of hospitals in the United States for patient care and outcomes. If you are thinking about joint replacement surgery, OrthoColorado Hospital and the team of joint replacement surgeons and specialists at Panorama Orthopedics will make it the best possible experience for you. Most of our surgical patients say it’s amazing to wake up and not have pain. Even our non-surgical patients are surprised to learn how much we can do to offer relief. Sometimes referred to as revision arthroplasty, revision joint replacement is sometimes necessary when a joint replacement implant wears out, causes pain, becomes unstable, gets deeply infected, or starts to fail. Complex joint revisions are thankfully uncommon and require a skilled surgeon to properly perform. Revision joint replacement surgery is complex and requires meticulous skill and planning. If it is complicated enough to require bone or joint reconstruction, it requires a doctor who is specialized in complex orthopedics. At Panorama Orthopedics & Spine Center, Dr. Ron Hugate and Dr. Jeremy Kinder are both experts in complex revision and reconstruction. They provide other orthopedic surgeons and patients suffering from a failed joint replacement with a resource and a referral center. Loosening of the joint replacement parts, which leads to instability, reduced range of motion, and pain. Revision is done in this case to remedy the instability and reduced range of motion. A fracture of the bones that hold the joint replacement implant in place could cause instability in the joint or a separation of the implants from the bone. Infection in the joint, which can cause loosening of the implant and lead to stiffening and pain in the replaced joint. Trauma to a joint with a joint replacement that results in implant breakage, loosening or instability. Joint instability (joint “pops out”) when an implant wears out or is not properly positioned in the bone. An implant wears out over a long time. If the plastic pieces in joint implants begin to wear that may be the only part that needs revision, in other cases, the entire implant may need to be revised or replaced. Ashley Nicholson is a physician assistant for Dr Schneider. She grew up in Colorado, and received all of her education here. She studied sports medicine at Colorado State Univeristy and obtained her Master of physician assistant studies at University of Colorado Denver School of Medicine. Her love for athletics and science led her to a career as an orthopedic physician assistant. She is an avid runner,hiker and biker; hobbies that allow her to take advantage of the beautiful Colorado outdoors. She is passionate about helping others maintain an active lifestyle and preventing or treating sports related injuries. Melinda grew up in New Jersey. She lived in north Carolina for 14 years prior to moving to CO in 2007. She received her BS in 1993 from Appalachain State University in Boone NC in Public Health and Sports Medicine. She received her MS 1994 from Western Illinois University, Macomb IL in Physiology and BioMechanics. She went on to attend PA school and graduated in 2003 from Hahnemann University at Drexel, Philadelphia PA. SHe has worked in Sports/Medicine/Orthopedics since 1993. Melinda served on the Medical Staff of the 1996 Centennial Olympics in Atlanta for the Mens and Womens Field Hockey venues. Outside of work her interests include photography, wine, cycling. Becky grew up in Broomfield, CO and completed her undergraduate degree at the University of Colorado. She went on to PA school at Nova Southeastern University in Fort Lauderdale, FL where she graduated l in 2014. In her time there she completed five surgical rotations – three of which were in Orthopedics and two were at Panorama Orthopedic and Spine Center. Becky works with the joint replacement doctors at Panorama, specifically Dr. Lammens and Dr. Peace. When she is not working, Becky enjoys tennis and golf, wind surfing, being outdoors or in the mountains. She is big sports fan and especially likes college football. Prior to attending school to become a physician assistant, Dean was an athletic trainer for three years. He went on to attend Northeastern University in Boston to receive his MS as a Physician Assistant in 2014. He has been working as a physician assistant in orthopedics ever since. Abby grew up in Rhinelander, WI. She earned her bachelor’s degree in Kinesiology from the University of Wisconsin – Eau Claire. After graduation she moved to Colorado and began working at Panorama Orthopedics as a clinical liaison and eventually as an orthopedic technologist. She then went on to attend her Physician Assistant program at Red Rocks Community College and jointly completed her Masters of Medical Science degree through St. Francis University in Loretto, PA. She primarily works with Dr. Schneider on the Sports Medicine and Total Joint Teams. Outside of work, Abby enjoys spending time with her husband and two daughters. She also enjoys hiking, mountain biking, snowboarding, skiing, yoga and swimming. Sarah was born in Dallas, TX and raised in Littleton, CO. She received her undergraduate degree in Biomedical Sciences at Marquette University, Milwaukee, WI and her Masters in Physician Assistant Studies, aslo at Marquette University, Milwaukee, WI. She worked for 3 years at Harbor-UCLA in Orthopedic Trauma in Los Angeles, prior to moving back to Colorado to join Panorama. Sarah has also spent time in Peru on a medical mission plans to continue annual medical mission trips to Peru. Sarah is a mother of two young childen enjoys spending time with her family. She also loves spending time outdoors hiking 14ers, biking and participating in Triathlons. Sarah is a physician assistant at OrthoColorado Hospital where she cares for patient who have undergone surgery there. Cathy is originally from Maryland. She graduated college with a BS in Biology and minor in Chemistry from Mount St Mary’s university in Emmitsburg, Maryland in 1998. From there, she went on to attend PA school at Anne Arundel college in Annapolis, MD where she practiced Emergency Medicine for 4 years. Following that, she moved to San Diego, CA and lived there for 7 years working at various trauma facilities in Emergency medicine. In 2012 she moved to Colorado with her husband and two daughters. 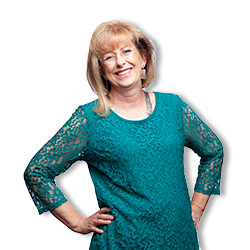 Cathy joined began working with Panorama Orthopedics where she is at OrthoColorado Hospital working primarily with the post operative joint and spine patients. When Cathy is not working she enjoys spending time with her family, running, cycling, hiking, snowboarding, and participating in just about any active outdoor activities.